Dr. Bowman has 15 years of perinatal practice experience and 18 years of teaching experience. Research includes maltreatment outcomes among mothers and fathers with histories of maltreatment during childhood. Bowman, K. (2015). Personal Information Management for Nurses Returning to School. Journal of Continuing Nursing Education. 46(12), 557-561. doi:10.3928/00220124-20151112-08. Bowman, K. (2014). Research Recognition, the First Step to Research Literacy. Journal of Continuing Education in Nursing, 45, 409-415. doi:10.3928/00220124-20140826-04. Rew, L. & Bowman, K. (2008). Protecting children and youth from early and abusive sexual experiences. Pediatric Nursing, 34, 10-27. Bowman, K. (2008). The challenges of studying childhood sexual abuse among adolescent mothers. Family & Community Health: The Journal of Health Promotion & Maintenance, 31, S15-S23. Bowman, K. G. (2007). A research synthesis overview. Nursing Science Quarterly, 20(2), 171-176. Bowman, K. G. (2007). When breastfeeding may be a threat to adolescent mothers. Issues in Mental Health Nursing, 28(1), 89-99. *Bowman, K. G. (2006). Adolescent postpartum care: What daughters want and what their mothers expect to provide. Pediatric Nursing, 32(3), 209-215. *Bowman, K. G. & Ruchala, P. L. (2006). A comparison of the postpartum learning needs of adolescent mothers and their mothers. JOGNN, Journal of Obstetric, Gynecologic, and Neonatal Nursing, 35(2), 250-256. *Bowman, K. G. (2005). Postpartum learning needs. JOGNN, Journal of Obstetric, Gynecologic, and Neonatal Nursing, 34(4), 438-223. *Libbus, M. K. & Bowman, K. G. (1994). Perceptions of sexual harassment by female registered nurses in hospital work-settings. The Journal of Nursing Administration, 24(6), 26-31. Bowman, K. G., Principal Investigator. Childhood Maltreatment Histories of Hispanic Women, the Ed and Molly Smith Centennial Fellowship in Nursing, ($3000), community sample, N=62, 9/07-8/08. 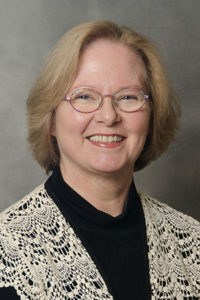 Bowman, K. G., Principal Investigator. Parenting Anxiety Survey Development, the Ed and Molly Smith Centennial Fellowship in Nursing ($3000), 9/06-8/07 and Southwest Partnership Center, The University of Texas at Austin, grant # NIH/NINR P20NR0083489 ($7000) community sample, N=260 (n=210 women, n=50 men), 7/07-6/08. Bowman, K. G., Principal Investigator. Childhood Sexual Abuse Influences on Parenting Anxiety, Southwest Partnership Center, The University of Texas at Austin, grant # NIH/NINR P20NR0083489 ($15,000), convenience sample, N=78, 7/04-10/06. 2010 – Maltreatment during Childhood among Community Dwelling Adult Males. International Family Violence and Child Victimization Research Conference, Portsmouth, NH, July 11-13, 2010. 2008 – Maltreatment during Childhood: A Description of the Experiences of Hispanic Mothers, International Family Violence and Child Victimization Research Conference, Portsmouth, NH, July 27-29, 2008. 2003 – Exploring the Learning Needs of Adolescent Mothers and Their Mothers, Midwest Nursing Research Society Annual Conference, Dearborn, MI. 2002 – Learning Needs of Adolescent Mothers and Their Mothers, Saint Louis University School of Nursing 29thAnnual Research Conference, St. Louis, MO.